I am not the first to see what you are about to read, but to my knowledge the following idea that we will cover has rarely been articulated. It has to do with pathogenesis: the true cause of diseases. Real scientists have looked for, and in some cases, found “cures,” but have not really been clear on actual causes. In hindsight, it is easy to see why. If we knew the real causes, we’d immediately call a halt to a multitude of behaviors and institutional practices. What I am about to offer is very simple. Given my recent commentary on what appears to be an intentional and sustained psiops campaign against the people of the world, that pits group against group in escalating levels of mayhem, the evidence supports that disease causation is also an intentional component in the operation. Through the virtually ubiquitous insinuation and use of chemicals throughout our society, in land, sea, and atmosphere, and in plants, animals, and humans, from first breath to last, and everywhere in-between. It’s that simple. Why is another story that we need not get into now, but due to their effect on living microbial systems, the wide-spread use of chemicals cause the metabolic dysfunctions that we generally classify as chronic and degenerative diseases. Yes, we can point to other stressors of the energetic kind, but even they eventually affect microbial, biochemical, and metabolic dysfunction. Chemicals are administered everywhere in our social structure, for various reasons throughout one’s lifetime. They are in the animals that we raise, the crops that we grow, and the foods that we eat. Ostensibly, chemicals are used to “protect” life, but if that is true at all, it is actually done at the expense of health. The “life” that many chemicals protect, is shelf life of products that would otherwise be reclaimed before they could be sold (or consumed) through normal microbial activity. Before we begin, please enjoy the beauty of chemistry, from BeautifulChemistry.net. Chemicals that have adverse residual effects, such as chlorine, are used to treat water that we drink, shower and bathe in. During their debates yesterday the presidential candidates who are in Michigan for the upcoming primary, had nothing substantive to offer that would effectively address the state of water in the city of Flint, which has high levels of lead. The contaminated state of the Flint River is presumed to be “doomed” to stay that way, given that orthodox water treatment methods, which are chemistry and filtration-based, allow for water management but not remediation. 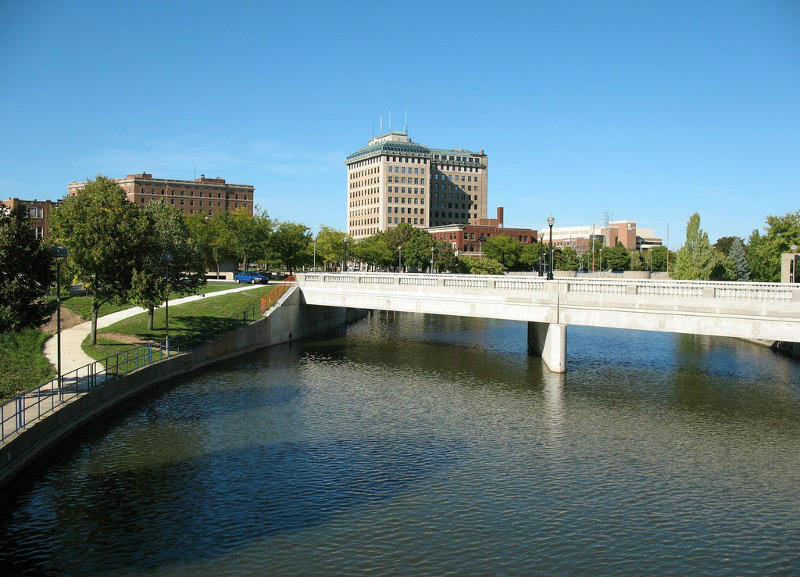 Flint River water can be made safe to drink once again. Not one candidate is suggesting to remediate the Flint River and restore its healthy state. If course, if it is known that we can “fix” the Flint River, what else might we be able to fix? The public doesn’t know that health from any disease condition, can be achieved by restoring balance, so they’re not demanding that it be done. The problem isn’t just about infrastructure, it is about process and components. It should be noted too that balance is not limited to matters of the body, but includes states of mind and emotion. Yet, on the most fundamental of levels, restoring balance without chemicals to soil and water will pay dividends that the most infirmed among us who truly wish to live, love, and enjoy their health again, have only dreamed of. When a politician says, “If you elect me I promise a full investigation of this problem with the best minds!” That’s a sure sign that the problem won’t be going anywhere, anytime soon. This may not seem to be directly related to chemical use, but animal products, such as dairy milk, are pasteurized, a process that kills the natural enzymes that would otherwise be present to help the consumer to metabolize the milk. To make it seem equivalent to real milk, other synthetic additives are used such as “calcium” and “vitamin D”. Vaccinations and antibiotics are also used extensively to “keep the cows healthy”. They don’t. I will spare you pictures of sick and mad cows. Some crops are grown with “reclaimed” (chemical) water. Most people have no idea how many chemicals are employed in the normal process of growing crops. Farmers use them because that is how they were taught to farm. Chemical farming practices have been passed down, and the schools of agriculture and farm bureaus have all provided ample information about which agrochemicals to use and how much. They are used, year in and year out with little question of whether there’s a better way. The consequences, which include more diseases, higher prices, lower yields, lower nutrient density, and higher water usage, are considered unavoidable. The mean cost of farming for certain crops, such as citrus, have gradually and steadily risen, from $800 / acre a few decades ago, to over $2,000 / acre today. 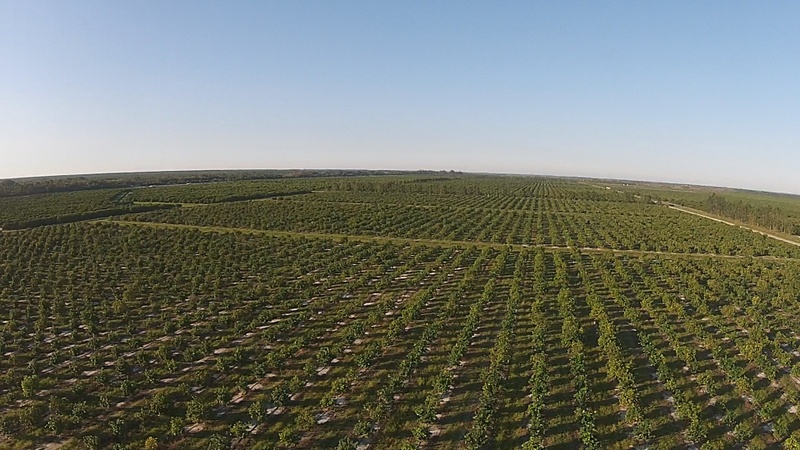 Citrus groves in every country of Florida are infected. The bugs that crop up, which seem intent on eating the farmer’s crops, are thought to be just pests, nothing more. They are believed to have no other purpose but to be a farmer’s annoyance, and deserve no other fate than to be summarily killed. What today’s zientists don’t seem to realize is that all that exists is interconnected and interrelated. Bugs that eat certain crops show up due to environmental conditions being such as to make them necessary in order to protect the best interests of the whole. 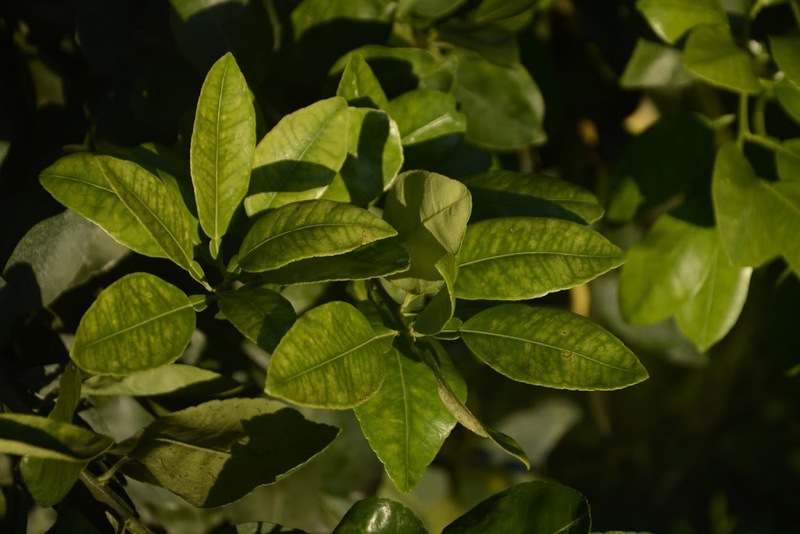 Grapefruit tree leaves from citrus greening infected tree. I took the above picture of leaves on a grapefruit tree recently in Florida. The tree is not healthy. 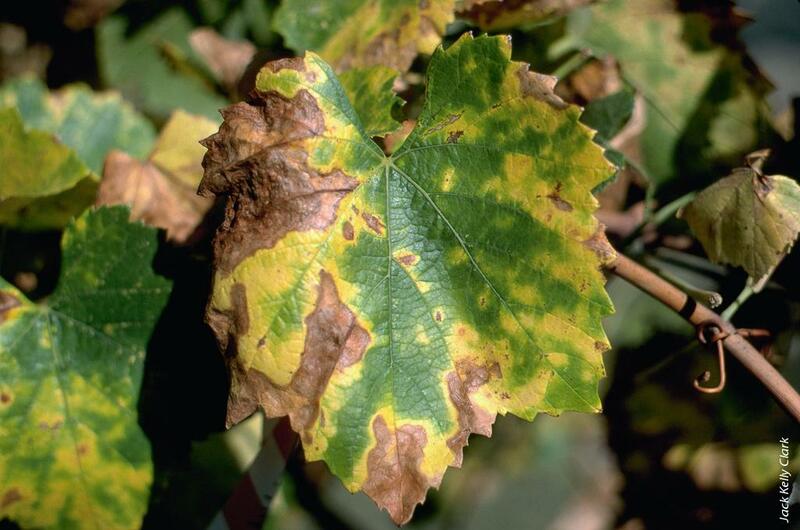 The uneven coloration on the leaves indicates a manganese deficiency. Manganese is one of the elements that is made unavailable by the chemical known as Glyphosate, which is used widely, almost universally as a herbicide. 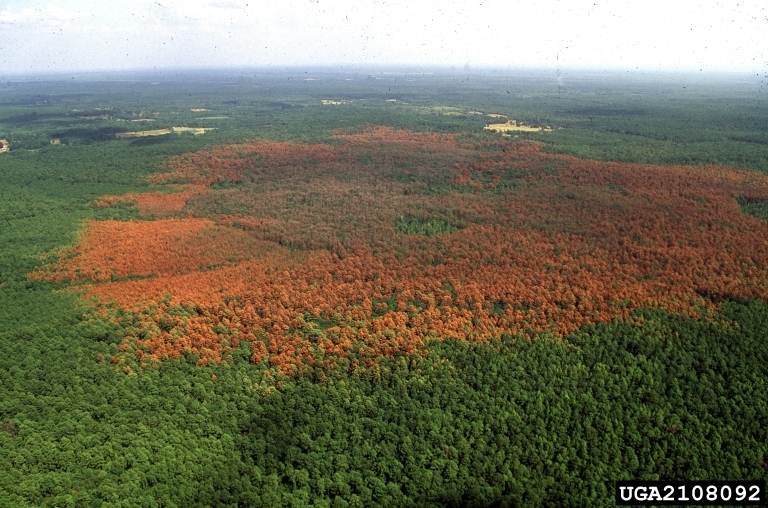 Instead of considering that the leaf condition, which is referred to as citrus greening disease where the tree produces unusual fruit and may eventually drop its fruit, shut down and die, may be connected to Glyphosate use, a bug called Huanglongbing, or HLB bacteria, is universally presumed to be the culprit. Then the orthodox reaction is to kill it by any (chemical) means necessary, even if they have to destroy the orchard. In this scenario, an unstable (unbalanced) environment of soil and water will have been intensified. NO THOUGHT would have been given to restoring balance. The product pictured to the right, a botanical extract of the Schidigera (sh – daa – gra) yucca is a natural balance restorer. 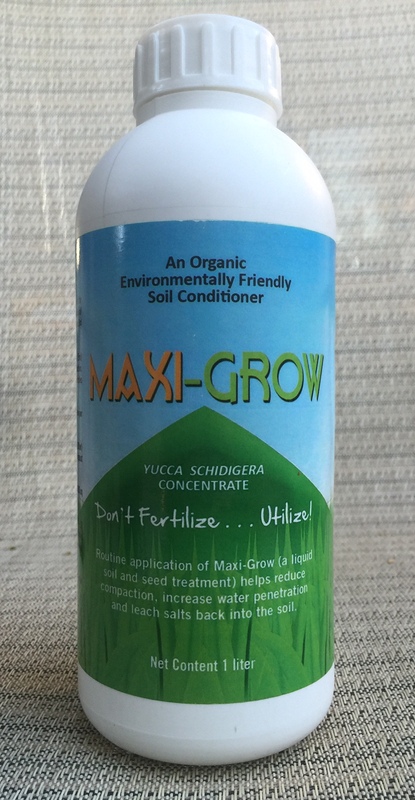 It is 100% natural, both in how it grows, and what it is. 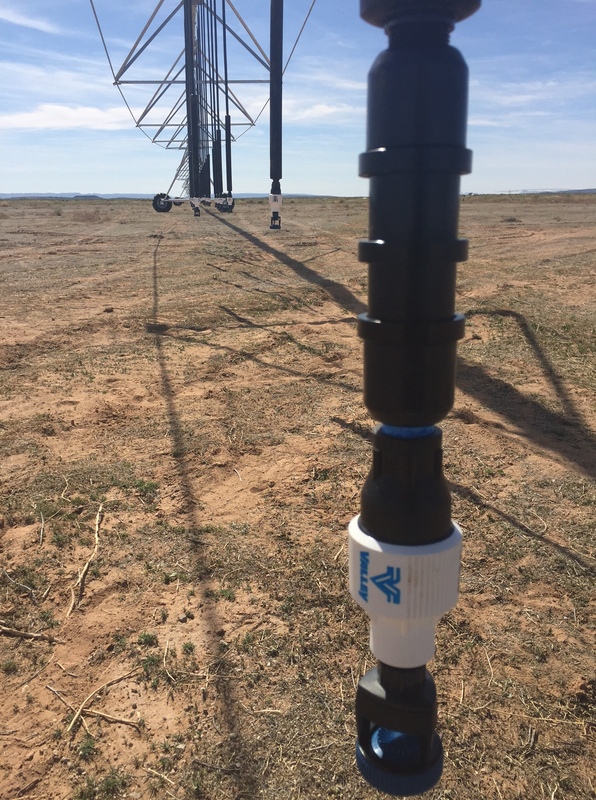 This product has many potential areas where it can be used to address out-of-balanced conditions: in agriculture, poultry, cattle and pigs and beyond. Any location where strong or putrid odors persist can be be made invisible to the noses with a spray of water mixed with Mojave yucca, which makes it safe to walk barefoot on the golf course, or in a park treated with reclaimed water, once again. I take this product (available in different packaging) as a daily supplement. It came in mighty handy on my last road trip. I returned home from Florida by way of Memphis, where I had agreed to attend a presentation. When in Memphis, one must sample the cuisine, which invariably (for me) means barbecue. On the other hand, it’s not wise to eat certain “heavy” foods too late in the evening, barbecue included. After returning to my hotel room and preparing for bed, a sudden “burp” sent an eruption of stomach acid up the esophagus to coat the lining. Fortunately on the nightstand I had a bottle of water with a dropper’s worth of yucca extract added. In just two swallows, the throat irritation was gone, and I had no further discomfort that evening. Such is the power and promise of balance. In virtually every crop in agriculture, one form of varmint, insect or bacteria sits ready to jeopardize the crop, if not destroy it altogether. Is this simply part of an ongoing “battle” for supremacy of the planet between Nature and man? Some people may actually think that’s the actual plot line, but now I think not. Everyone gets their “dose”, everywhere, in every which way. Today, we’re using chemicals everywhere. Even Certified Organic fruits and vegetables must undergo some denaturing chemical procedures in order for the grower to get the “certification”. The stated reason is to prevent the presence of pathogens, which is a way of saying “a group of ravenous, disease causing bugs,” without having to name each one. So a new band of growers are passing on Organic Certification, and embracing Nutrient Density, which is far more important to well-being. I’m pleased that one of my customers and resellers is on the list, tiny as it may be, of “nutrient dense” growers in the directory. The public pays a premium price for Certified Organic fruits and veggies that have deficient nutrient levels. The actual added value is in appearance only, not real. Disease in farming is everywhere, around the world. 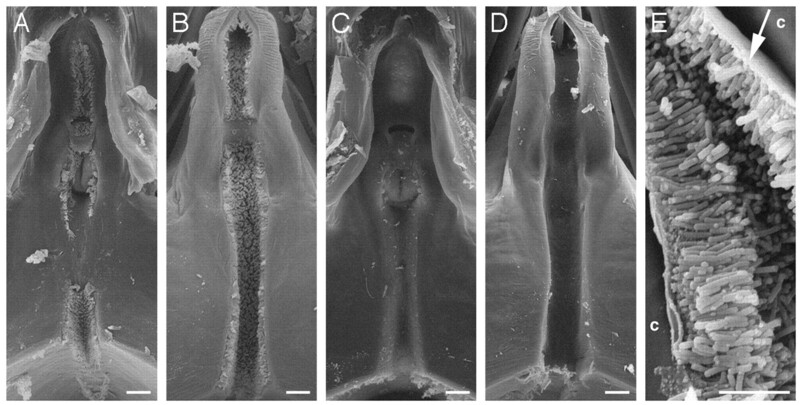 Zientists look for new concoctions and schemes to control or eradicate pesky predators like the pine borer beetle that is decimating forests (above) around the country, or Pierce’s disease, that affects vineyard growers (below). 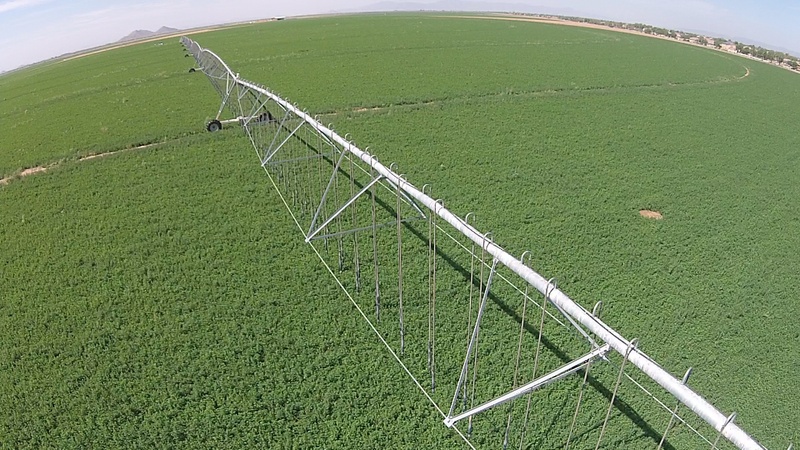 In California alone, this condition costs growers $104 million per year. This is Xylella fastidiosa, the chief antagonist in the Pierce’s Disease soap opera. I submit these as examples of a pattern of what amounts to a very elaborate system of storytelling, one that has outlived its usefulness. Please consider that every crop or animal product has its cast of characters, and that orthodox growing methods for every crop or animal product today includes energy-, information-, and balance-disrupting chemicals. Actually, they generally involve clusters of chemicals which are administered concurrently. These policies are unsustainable for plants and animals, for the human species; and for the planet itself. However, the planet has far greater ability to preserve itself by restoring balance than the human species if people continue allowing themselves to be sold on the idea of annihilating one another. So my assertion is that in the pathogenesis of disease, bugs, by whatever name, are the result of the ongoing use of chemicals (i.e., the abnormal and unnatural configurations of elements), as is the disease. Killing the bug, or making the plant (or animal) resistant to one particular “bug” using methods that involve adding more abnormal and unnatural configurations of elements, will not, and have not solved the problem. Instead they have caused new problems to surface, which actually supports the new pathogenetic assertion. The only answer to pathogenic disease is to restore the natural balance that was disrupted through standard practices. Absolutely not: I’m serious as a milkshake made with raw milk (yum!). Once you see that imbalance is the problem, not chemical imbalance, but an imbalance of mineral made from the over use of chemicals, then the path becomes clearer. What we call “chemicals” are simply mineral constructs, which themselves alter the natural informational, energetic, and vibrational state of the environment in which they added. By our thoughts, attitudes, and beliefs, we also cause the body to produce certain mineral constructs will have either beneficial or detrimental effect. The greater our inner coherence (joy, harmony, pleasure, love), the higher our immune system functions. More inner chaos (anxiety, enmity, pain, fear), lowers immune system functionality. 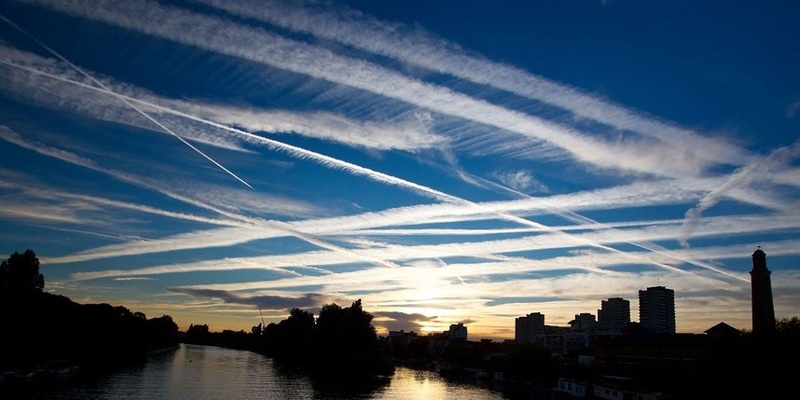 The use of chemicals everywhere, all of which are unnatural to the environment that they are added to, in conjunction with the trauma and stress of debt, disease, threats of war, etc., contributes to a change from natural vibration (frequency) dominance to an unnatural one. Mutagenic inputs from genetically modified products only add to the internal breakdown. All that makes life possible on Earth, whether harmful or beneficial, are made of elements from the one Periodic Table. As such, when the combinations and configurations of elements have been jumbled up, the environment is into chaos. The good news is that anything and everything that can be messed up, can be restored. The Earth and all the Universe is self-balancing. There is no greater law, because PERFECT BALANCE = STILLNESS = GOD. What some people call “rest,” is STILLNESS. We come from STILLNESS and return to STILLNESS. When “survival” is known as a given, it’s about who is ready to evolve? Balance in an existential sense is not STILLNESS. It is harmonized, resonant motion. However, as Walter Russell (1871-1963) explained quite effectively, almost 90 years ago, in his book, The Universal One and subsequent books, STILLNESS is at the CENTER OF ALL MOTION. STILLNESS makes motion and movement possible. As such, GOD, which is STILLNESS and PERFECT BALANCE, is “in” ALL. When you hear someone ask, “How could God let this happen to humanity?” you need to look in the mirror and rephrase the question. How can humanity do that to itself? God IS present, but are YOU? Are you waiting for someone else, such as “His only begotten Son” to come save the day? Don’t get me started on the Council of Nicaea (325 A.D.) where that idea that Jesus was the only “son” of God, and humanity is cannon fodder began. You are expressions of God, as am I. You are one with me and I AM one with you, irrespective of your beliefs about what I say. We have been taught that we are powerless. We have been led to believe that we are alone in the Universe, yet if that were true, we haven’t demonstrated the collective will to love, respect and cherish each other. We’er standing on a perpetual motion machine. But I digress: the Universe is a system of balanced motion. For all the assertions by the zientific community that there is no such thing as a “perpetual motion machine,” one need only need to look at the Earth itself to see the fallacy of such thinking. But academicians spout what they are told, and what they have gained their credentials by accepting and repeating as true. Natural science says otherwise, which is what I choose to listen to. HOWEVER, since the Universe is a self-balancing system, and the Earth is self-balancing, mankind has two choices; let Earth restore balance from the generations of chemical use we’ve engaged in, or do it ourselves. My vote is for Option 2. The vote that each elects to make for balance is more important than the vote we might cast for any political nominee. Indeed, the presidential nominees should be evaluated on their commitment to restoring balance where it actually counts. I need to reconfigure the way I do what I do. For many years I have explored the lesser-known fringes of human belief, to uncover and share insights that would enrich and benefit everyone who made them part of their life. I have given freely, although the effort takes time, energy, and money. I haven’t done it for the money, for I have little to show for my efforts. However, that’s not the central problem. Doing things this way actually helped me gain an amazing education, which allows me to continue giving that can, as more are gaining new “eyes to see and ears to hear”, empower each to be the change that we wish to see in their life. However, personally I have placed myself into a financial hole, and the condition is critical. I need to raise money to keep my life in some order while my business and project vision takes form. My partner, Jody Spencer and I are making progress bringing our vortex generator product to market through The President Water Company. I will have my hands on the first of the new molded products that are being made ready for shipment; a handheld model we now call The Traveler. 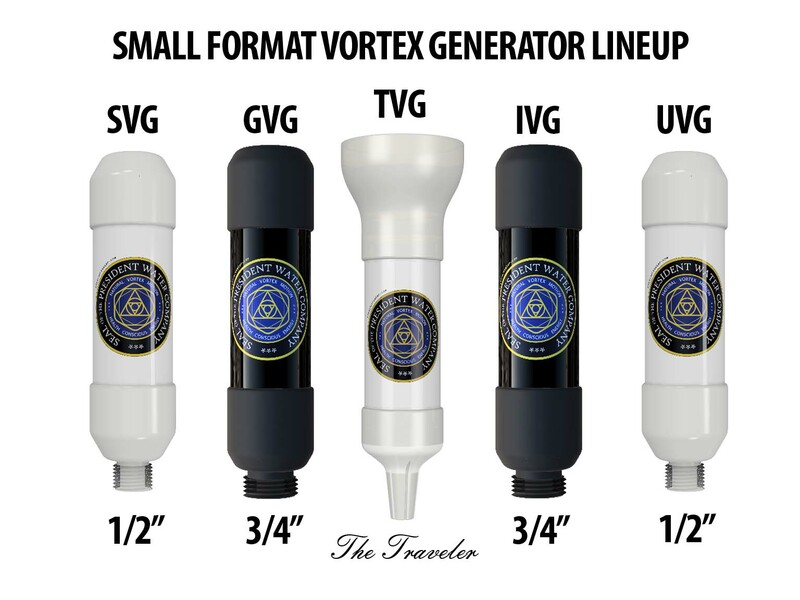 Evolution of the The Traveler vortex generator. The Traveler is one of five models in the small-format lineup. It has begun shipping. The rest of the line will ship in the next few weeks as our manufacturer gets up to production speed. 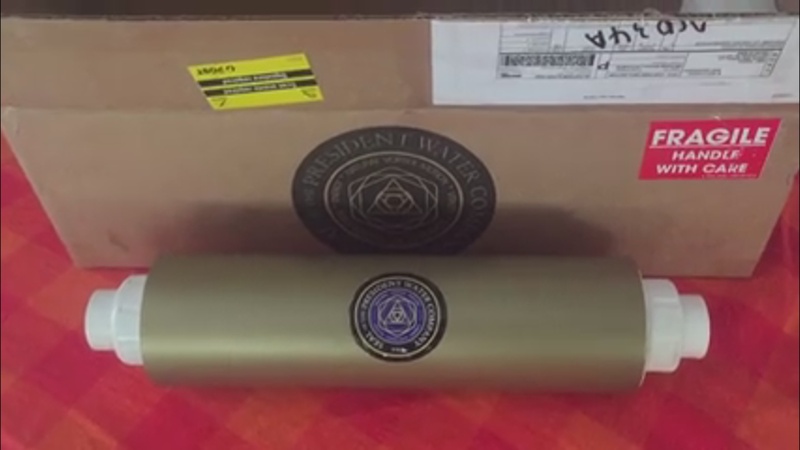 The Small Format Vortex Generators from President Water. I took this picture last week on some farmland that I’m interested in acquiring. I’ll be writing more about that soon, but the reasons are related to the subject of this post. 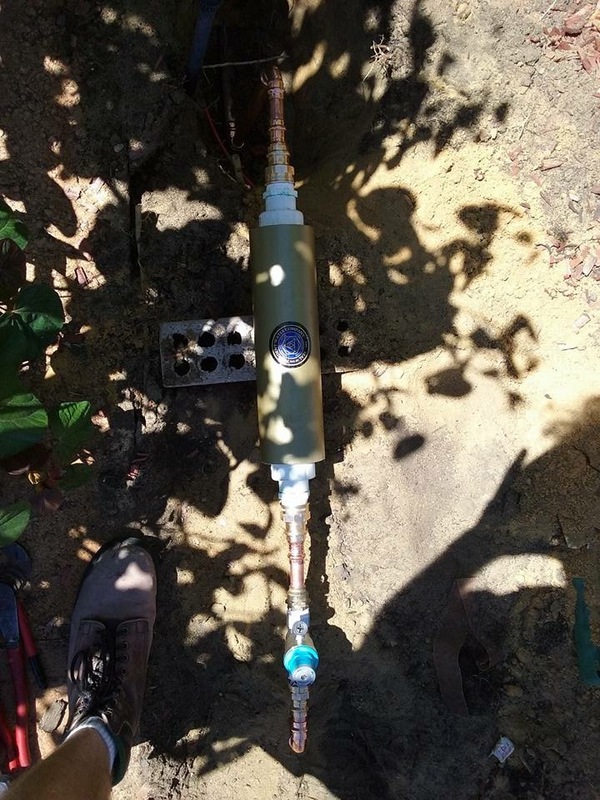 In the foreground is a prototype of the Irrigation Vortex Generator, or IVG, which we expect to see wide application on irrigation systems as shown below. 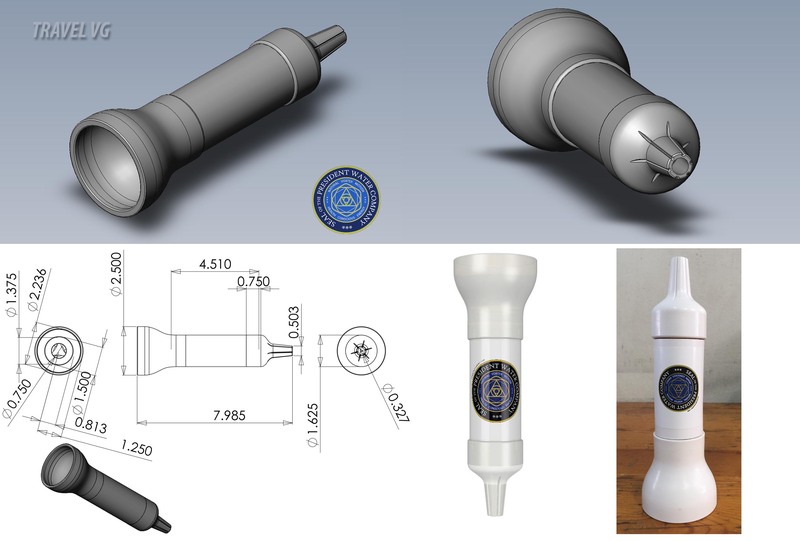 The way we have designed the magnets to be made allows them to create a zero-point event that is focused in the center of the chamber that the water passes through, complementing and enhancing the vortex events that are going on inside. That’s just the small line. There are larger units, like the PW100 for the home. The one pictured below is now at home in Australia. UPDATE: I am leaving the following sentence intact. However, we are delaying the ring magnet array mentioned below until we do one additional field-orientation check, which will take a couple of months to confirm and complete. Like the Small Line, with the exception of The Traveler, the PW100 employs an array of powerful neodymium ring magnets underneath its powder coated outer enclosure. While the magnets do not touch the water, their fields affect molecular alignment, spin, and integrity. They also add measurable electrical voltage to the water naturally. Perhaps instead of saying “add,” I should say restore, because this is the electricity of life, not big business. Our vortex generators do not require electricity to produce voltage that is scrubbed off of water through chemical chaos. The same electrical drain happens inside the body when chemicals are insinuated that disrupt and reduce normal voltage levels. Magnets will be incorporated all the way through the President Water line. The largest vortex generator that we’ve made and installed to date is a PW1200 that is now in Florida. We are excited about entering the still very small segment in the water treatment technology sector that will be known as vortex generators (we’re not trademarking the name ~ it’s what they do) because people are increasingly relying on demonstrated results and their own common sense to make their decisions. That said, I invest much time and energy in this area, the economic gains of which will become self-evident in their time. However, I need to bring balance in my efforts related to presenting information, whether written or on video. Wholesale and retail buyers for President Water vortex generators. My immediate goal to raise is $25,000, which will allow me to stabilize personal responsibilities and obligations. I will also begin a series of video conversations on the subject of The Return to Balance. I believe that interest in this very relevant subject will grow. Perhaps I’ll make it available on a pay-per-view basis, or for paid subscribers to a membership web site. Still figuring it out, but I needed to humble myself enough to express gratitude for whatever you are moved to do that will help. I’m clearly beyond the limit of what “I” can do, and there’s much more to do. Best yet, what we see being achievable is wonderful. If you want to know more, please feel free to get in touch with me. If 100,000 people read this article and resonate with the common sense logic that it contains, I should get my personal situation taken care of, and we could be on our way to the next step of a larger potential change that affects all wonderfully. Elizabeth, thank you for writing; you are correct. HOWEVER, what is nutrition? It is the presence of a spectrum of natural elements, all members of the Periodic Table, in a specific range with each other. Those elements are present in the soil and are transferred into planets as they grow, which are transferred to the “higher” life-forms that consume them. The combination of elements that are available is determined by the soil’s environment, particularly the microbial life that is present, including a wide array of bacteria and enzymes. That is, unless the population diversity of said microorganism is narrowed, which narrows the availability of the mineral elements. What narrows said diversity? The ubiquitous, unconscious, unrelenting, and unconscionable use of Chemicals. The good news is that when balance is restored to microbial diversity, and enzyme activity is re-activated, balance in the soil is restored, and the natural mineral spectrum is restored, and NUTRITION will no longer be LACKING. I’m digging your posts. Sometimes when I see truth I’m amazed others don’t see it. Everyone is so full of chemicals they can’t slow down enough to see what they need to see. I’m reading a lot about our inner microbiome. Life inside us is a mirror to the larger ecosystem. Both sick at the moment. Just go on Kickstarter and raise the money.